Cleanup underway of gear oil spill on Kootenay Lake, B.C. Western Pacific Marine, the company that operates the ferry, has hired a contractor to clean the spill and to also sample and monitor the water in the lake. 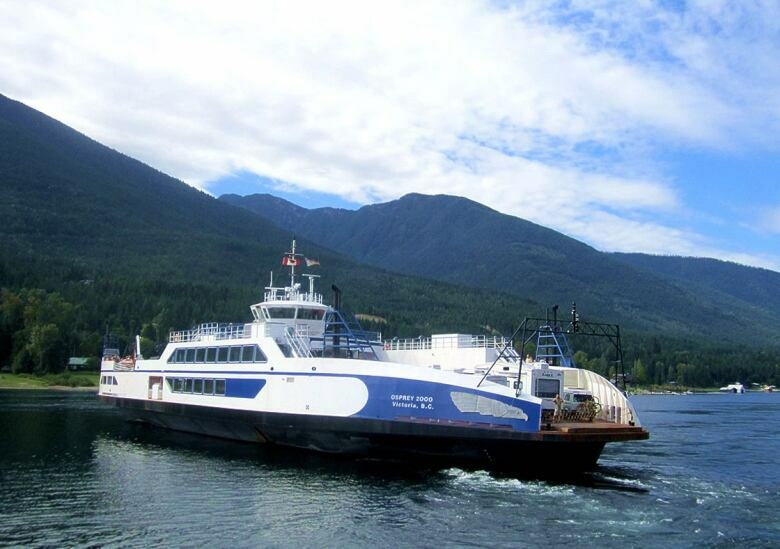 A cleanup is underway after the main car ferry that crosses Kootenay Lake, B.C., leaked about 400 litres of gear oil into the lake Saturday morning. Western Pacific Marine, the company that operates the ferry, has hired a contractor to clean the spill and to also sample and monitor the water in the lake near the community of Balfour. Absorbent pads and a boom are being used to contain and mop up the oil, which was mostly concentrated around docked boats and the beach. The B.C. Ministry of Environment said that rain Saturday night also helped flush some of the oil out of the lake. Interior Health is cautioning people to avoid recreational use along a 400-metre stretch of the shoreline next to the Balfour Ferry Terminal. The health authority said there doesn't appear to be any drinking water intakes in the area, but people should avoid swimming or letting their pets in the water there. The leak happened at about 9 a.m. PT on Saturday morning. A manager with Western Pacific Marine said the leak was a result of the "catastrophic failure" of one of the Osprey 2000's four propulsion units while the vessel was in transit. Every measure was made to contain the leak, he said, and the company is still investigating the extent of the damage. The ferry is expected to be out of service for at least another month, he said. With files from Bob Keating.